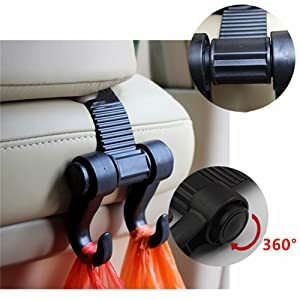 -Converts your car's headrest into a convenient storage space to hang groceries, bags, clothes, supplies and much more! 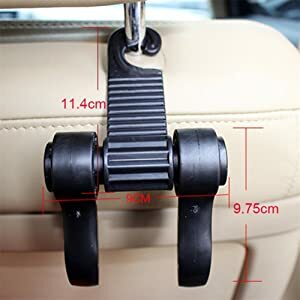 -Universal fit for all cars, vans, trucks, & SUV's. 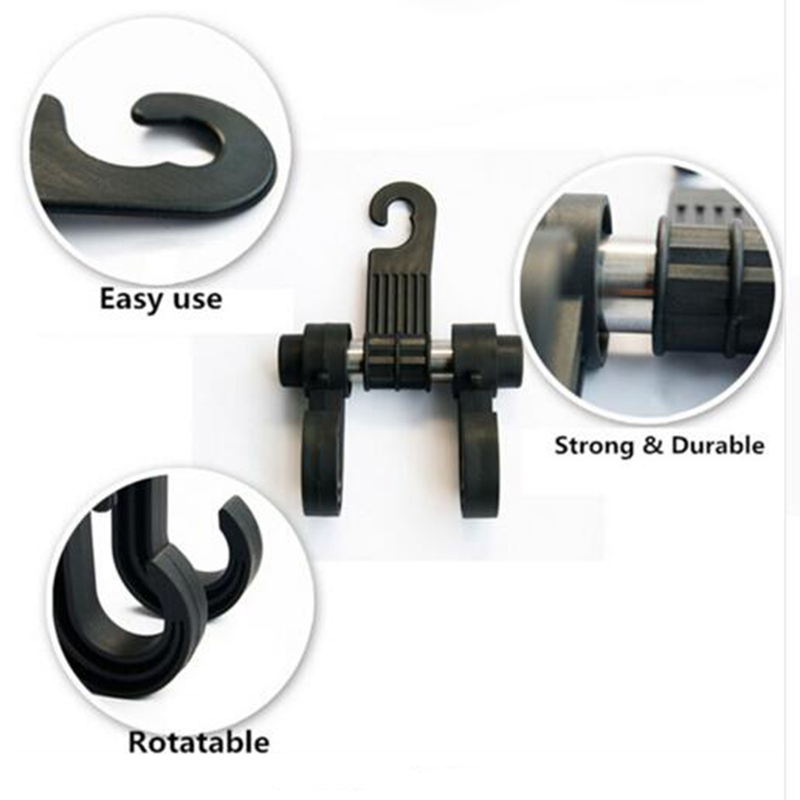 -Size: 5" x 3 ¾" x 4 ½"
High-quality PP is used to manufacture the hooks, along with an assurance of durable functional parts. great toughness, Strong and durable,would not crack or break easily. Hold up over 20 lbs each hook. Hanging your purse on a hook, this eliminates having your purse falling on the floor if you come to a quick stop. you can put the eggs, bread and other things you don't want getting squished up and out of the way. 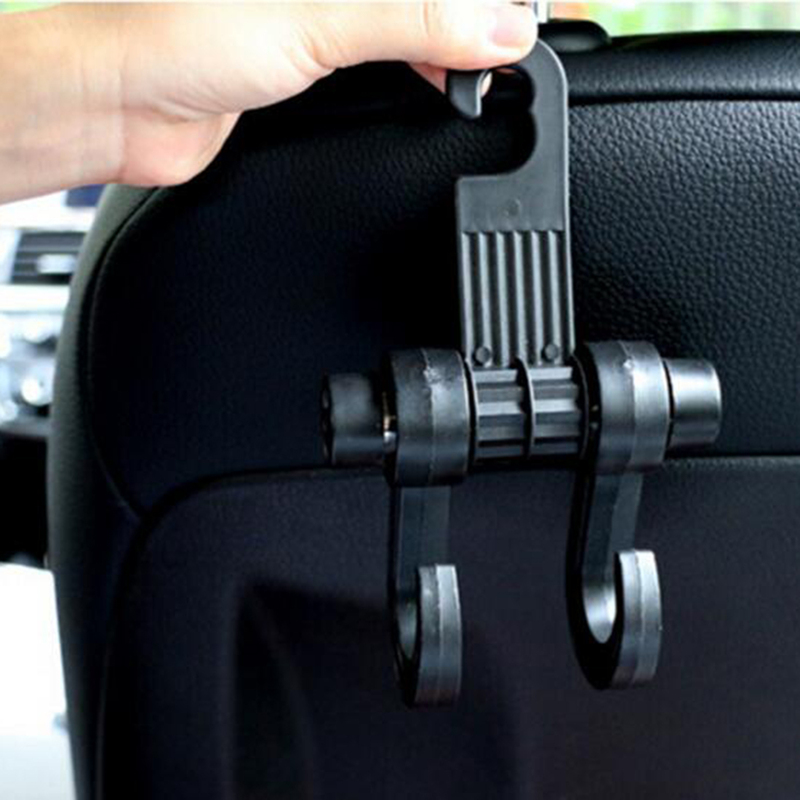 This universal car back seat hook is specially designed to hang bag, purse, cloth, grocery, etc. High-quality ABS material made, durable and strong bearing.